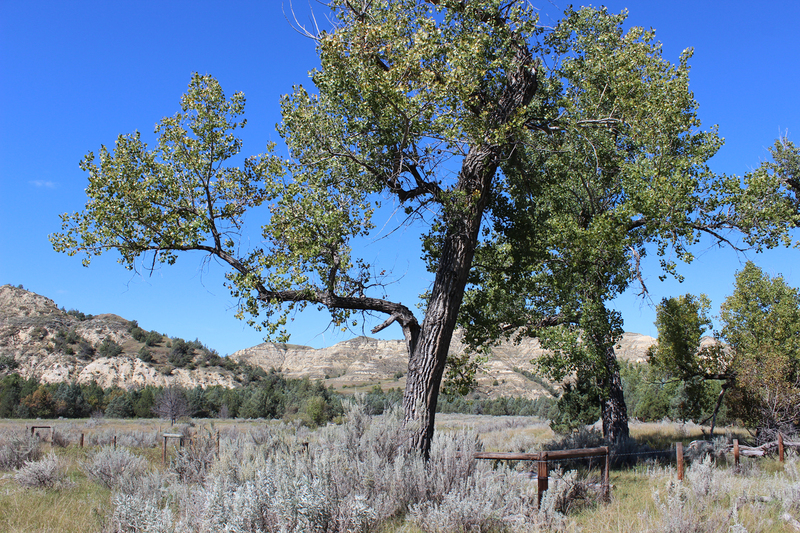 In the summer of 1884, Roosevelt decided to look for a suitable site for a second ranch, one that boasted more solitude than the Maltese Cross, which was both near Medora and on a much-used trail. 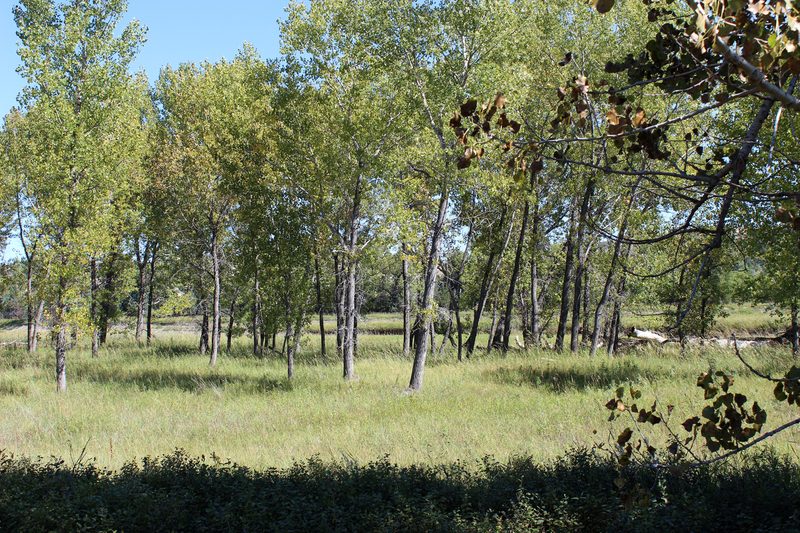 He found the perfect spot on some bottom land hemmed in by bluffs with the Little Missouri River running through it. 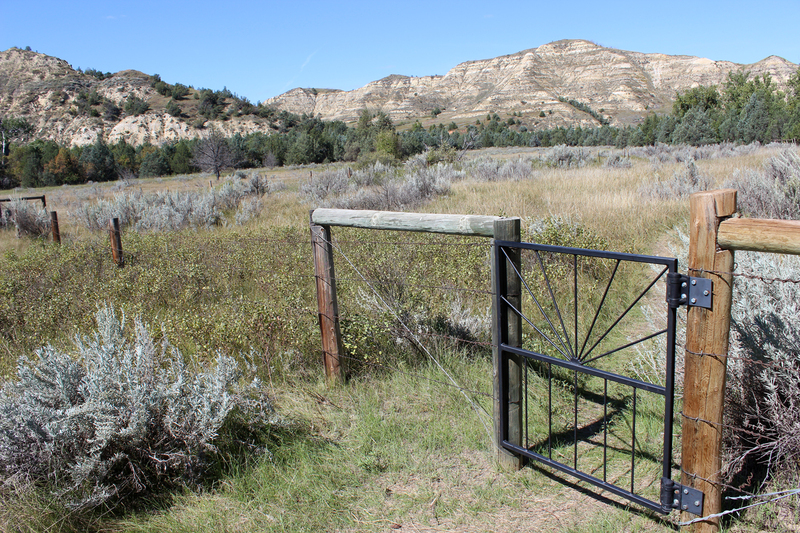 About thirty miles north of Medora, it was secluded enough to afford Roosevelt his much-desired privacy, but also close enough to Medora to allow him eventually to serve as president of the local cattlemen’s association. 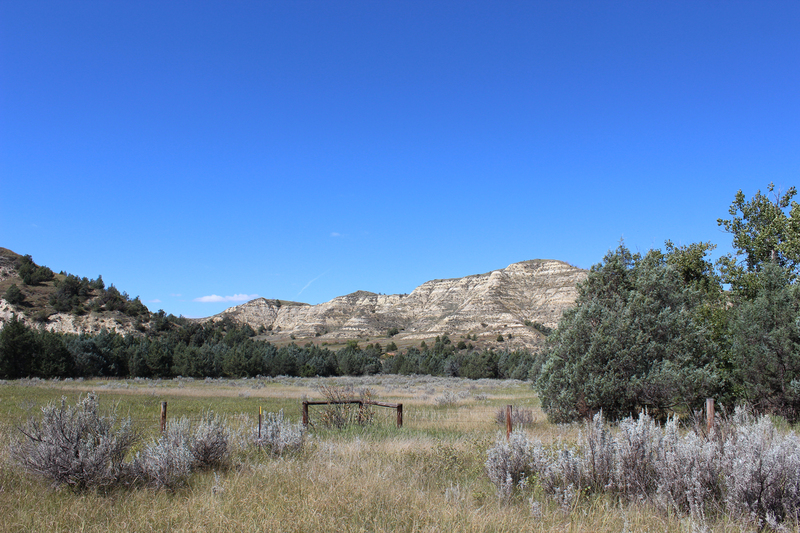 Today the Elkhorn Ranch Unit of Theodore Roosevelt National Park remains remote from the other units, although its solitude is threatened by the rampant oil boom surrounding all areas of the park and already well established in the neighboring Little Missouri National Grassland. 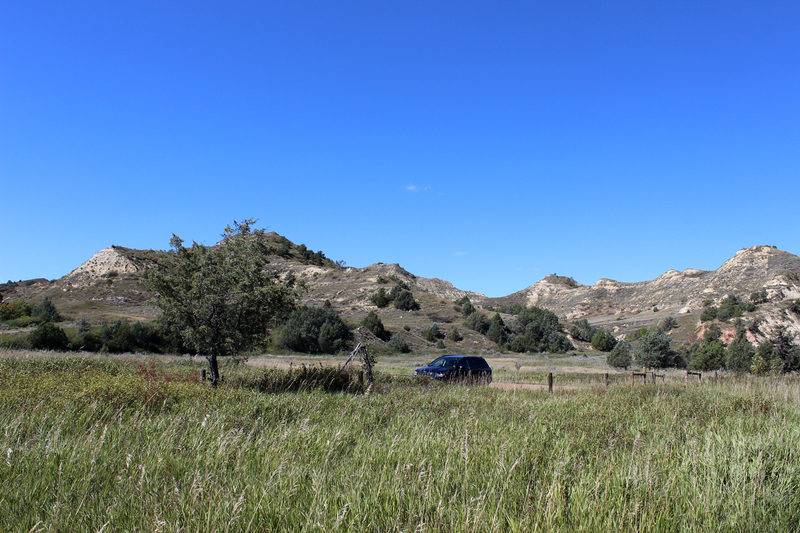 The drive from Medora through a patchwork of public and private lands took us about an hour, mostly on dirt roads maintained by the Forest Service. The final road descended from bluffs to the west of the ranch site. The breeze and brilliant sunshine had finally dried out the area, so the jeep had no trouble getting us to the abandoned parking area. 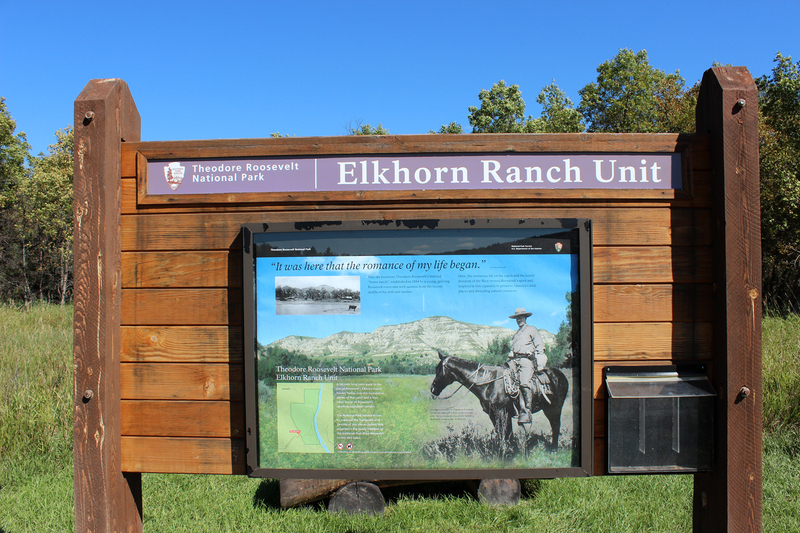 It was almost too good to be true: we’d have the Elkhorn Ranch to ourselves. 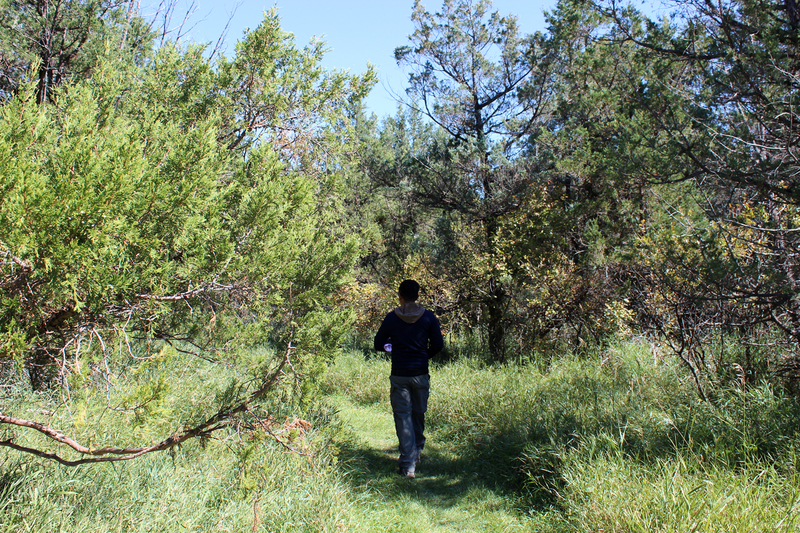 A 3/4-mile path leads from the parking area to the site of the ranch house. 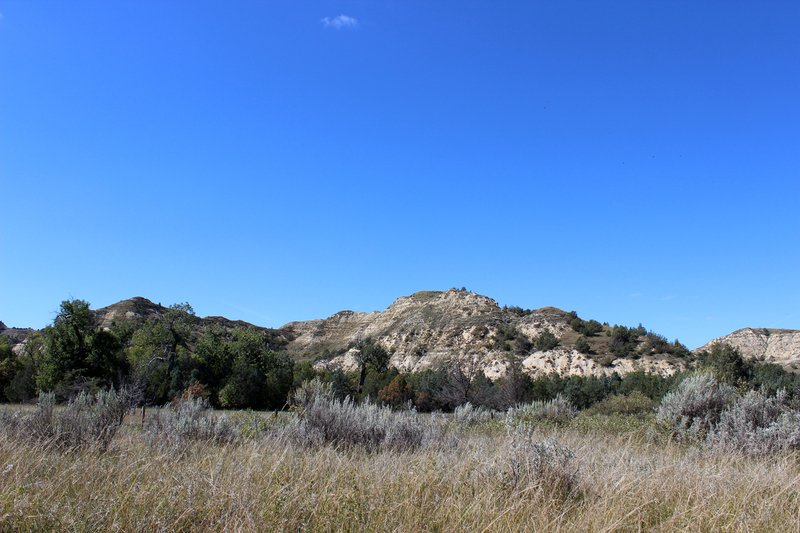 We shouldered our packs, which were filled with our picnic lunches (build-your-own deli sandwiches from the C-Store in Medora), and started along the trail. 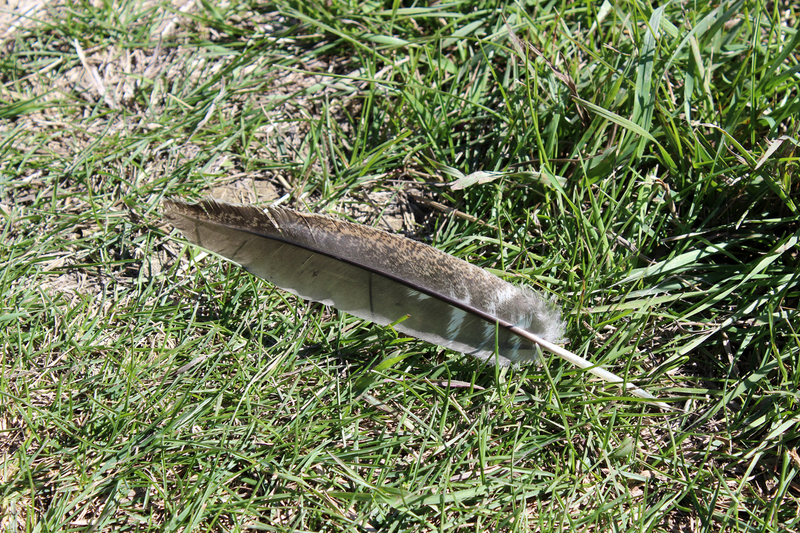 Shortly we came upon a feather on the path. Likely it was a Northern Harrier’s (we’d see some flying near the ranch site). It was all I could do to prevent myself from taking it with me. 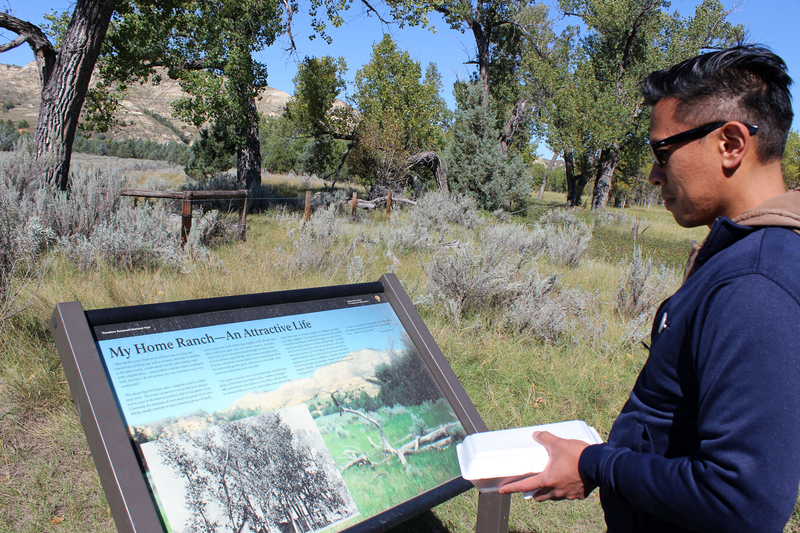 Although it would violate the take nothing restrictions of the Park Service, not to mention violating the Migratory Bird Act, the desire to have a harrier feather from Theodore Roosevelt’s ranch site was almost too tempting. But I didn’t. I took a photo and continued on. Roosevelt hired two Maine woodsmen with whom he’d explored the north woods of that state, Bill Sewall and Wilmot Dow, to run the Elkhorn. Sewall replied that while it was true that he did not know anything about it, it was also true that to him it did not look like very good cattle country. 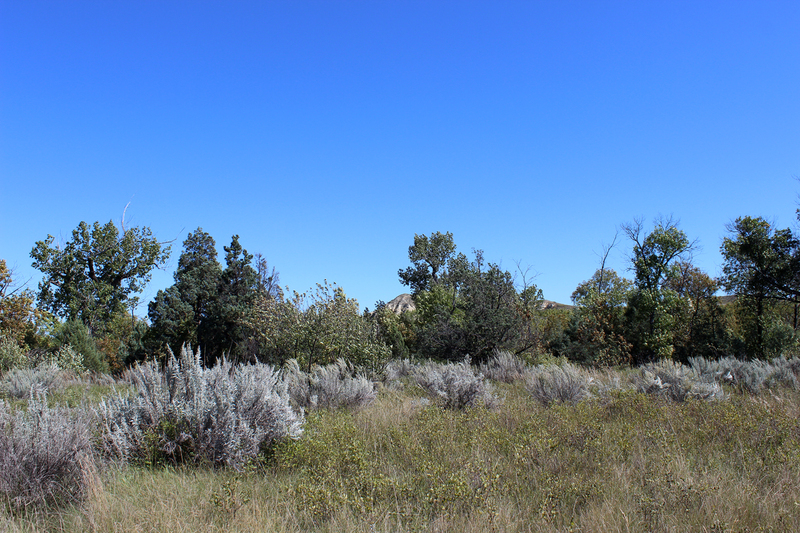 The path to the ranch site wound through prairie and woodlands, curving in a great arc so that it ran north near the river. 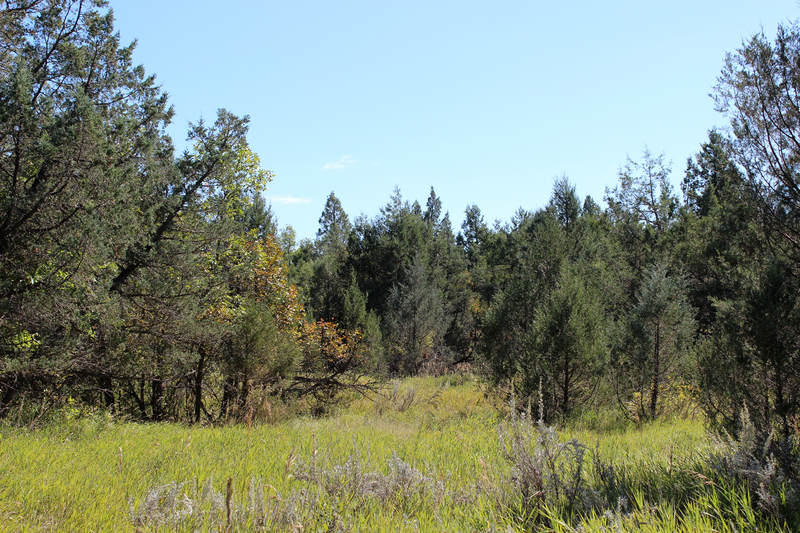 Throughout June the thickets and groves about the ranch house are loud with bird noises from before dawn to long after sunrise. The thrashers have sung all the night through from among the thorn bushes if there has been a moon, or even has been bright starlight; and before the first glimmer of gray, the bell-like silvery songs of the shy woodland thrashers chime in; while meadowlark, robin, bluebird and song sparrow, together with many rarer singers, like the grosbeak, join in swelling the chorus. 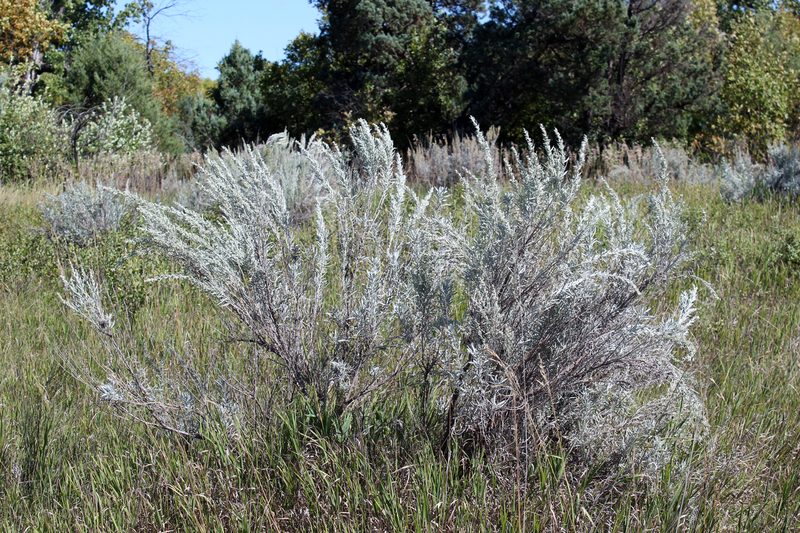 In the prairie sections, huge silver sage bushes grew and filled the air with their fragrance. We reached the ranch site. 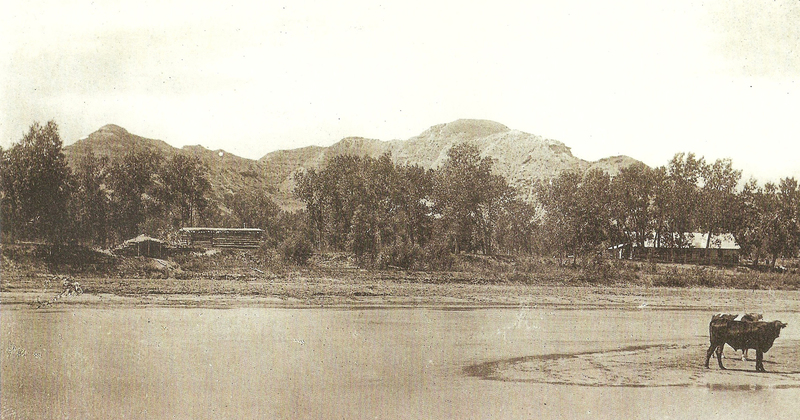 The ranch house stood on the brink of a low bluff overlooking the broad, shallow bed of the Little Missouri, through which at most seasons there ran only a trickle of water, while in times of freshet it was filled brimful with the boiling, foaming, muddy torrent. 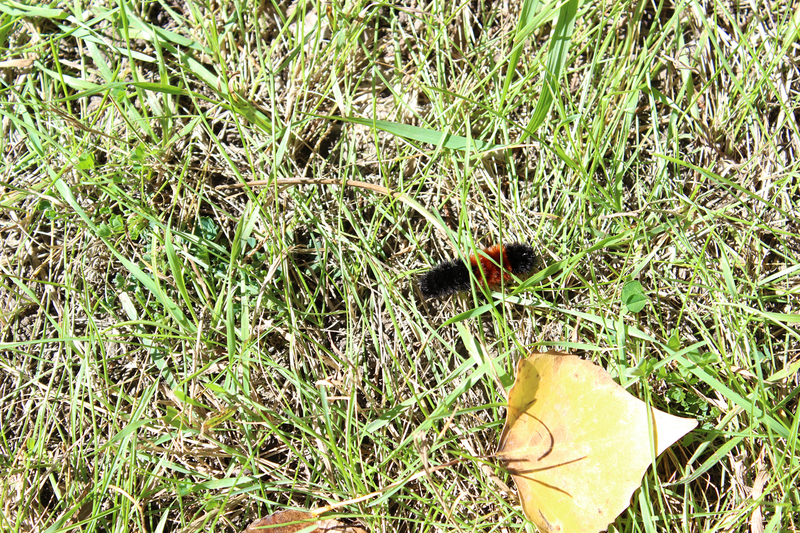 There was no neighbor for ten or fifteen miles on either side of me. The river twisted down in long curves between narrow bottoms bordered by sheer cliff walls, for the Bad Lands, a chaos of peaks, plateaus, and ridges, rose abruptly from the edges of the level, tree-clad, or grassy, alluvial meadows. 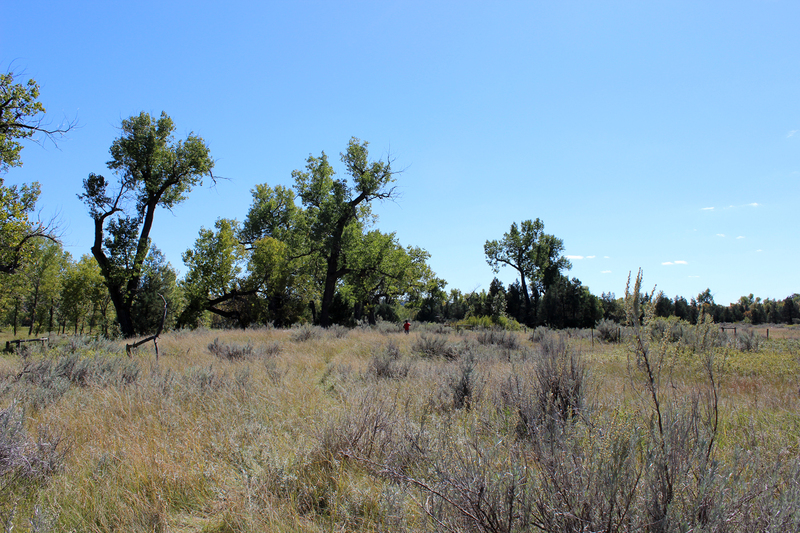 In front of the ranch-house veranda was a row of cottonwood trees with gray-green leaves which quivered all day long if there was a breath of air. 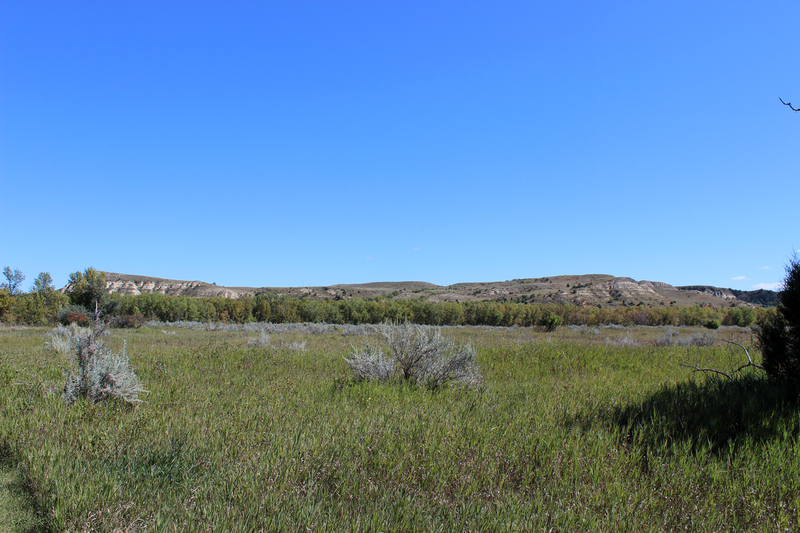 …The conservationist and scholar Lowell E. Baier…called the Badlands cabin the “cradle of conservation” in an important 2007 article in the Theodore Roosevelt Association Journal. 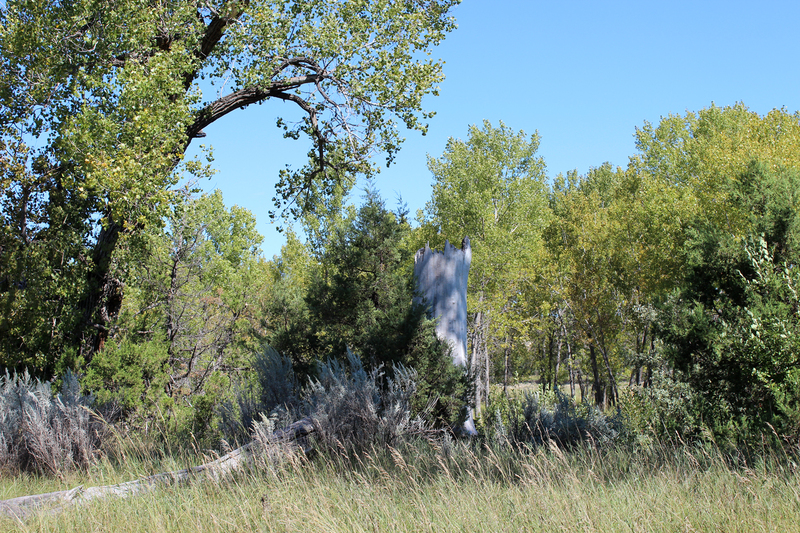 It was at the Elkhorn that Roosevelt found his voice to caution against careless growth, deforestation, wildlife depletion, and environmental degradation. 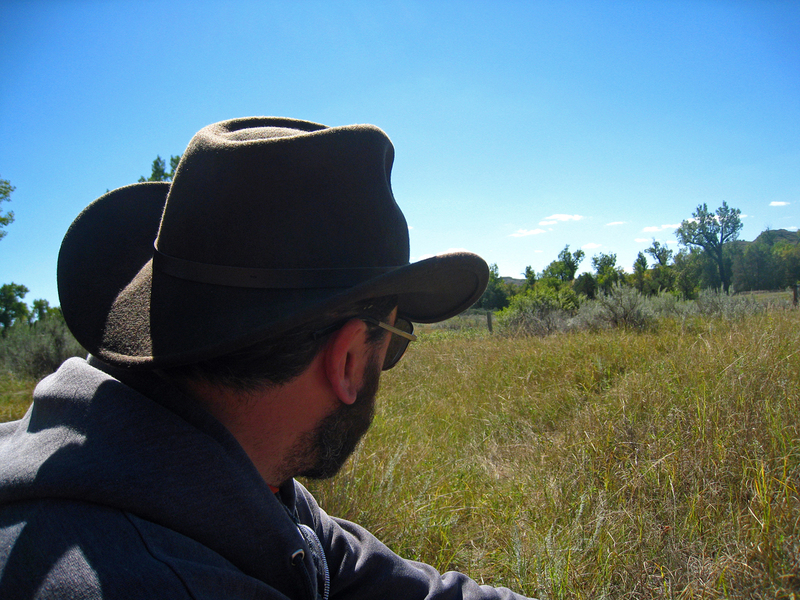 Like all Americans, I like big things; big prairies, big forests and mountains. big wheat fields, railroads—and herds of cattle, too—big factories, steamboats, and everything else. But we must keep steadily in mind that no people were ever yet benefited by riches if their prosperity corrupted virtue. 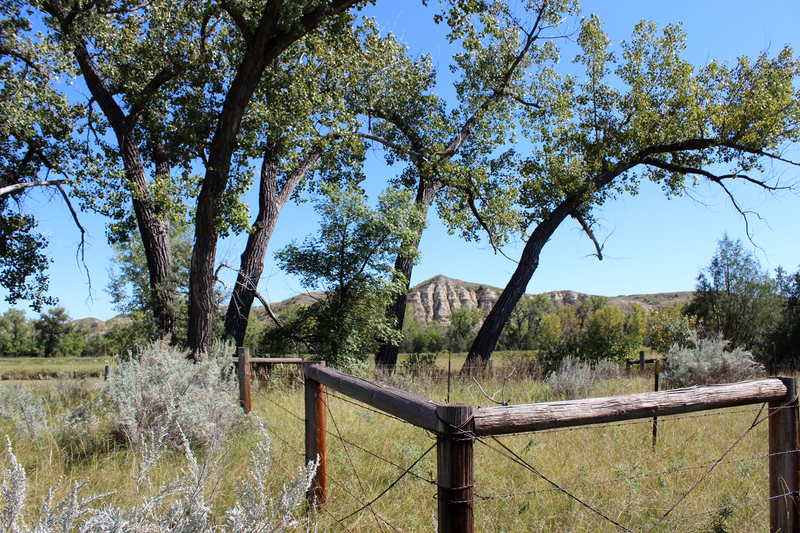 The site of the ranch house, as well as the nearby site of the ranch’s blacksmith building, are fenced off, but visitors may enter the ranch house area through a small gate. 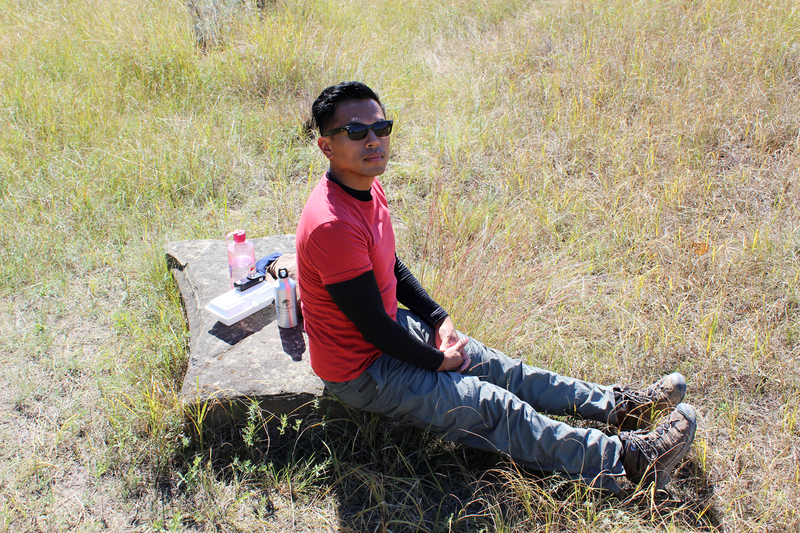 We did, and sat down on the remaining foundation stones for our picnic. The house is long gone. The soft cottonwood logs were not as weather-proof as the hardwood of the Maltese Cross cabin. The remainder of the timber was scavenged by local residents in the late 1890s. As we sat eating our lunch and gazing westward, two harriers careened through the sky, enjoying each other’s aerial acrobatics. 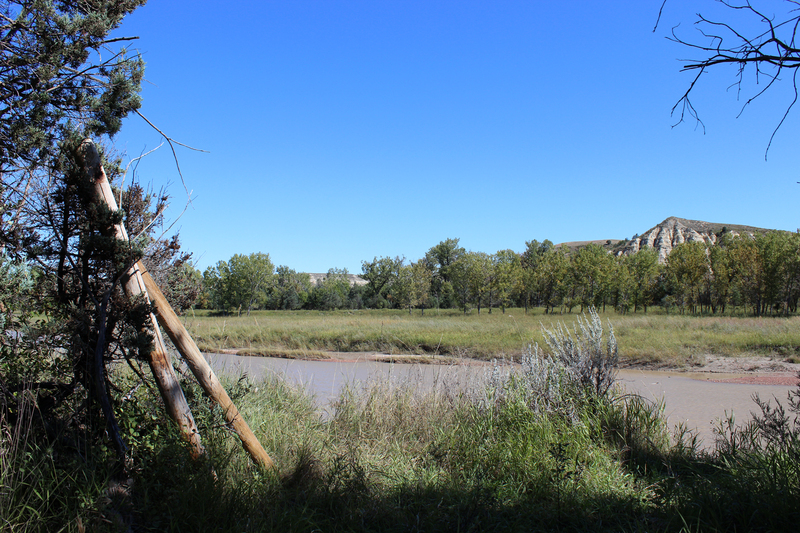 The Elkhorn Ranch from the eastern bank of the Little Missouri River. Image by Theodore Roosevelt, from the Theodore Roosevelt Collection, Harvard College Library. From the low, long veranda, shaded by leafy cottonwoods, one looks across sand-bars and shallows to a strip of meadowland, behind which rises a line of sheer cliffs and grassy plateaus. This veranda is a pleasant place in the summer evenings when a cool breeze stirs along the river and blows in the faces of the tired men, who loll back in their rocking-chairs (what true American does not enjoy a rocking-chair? ), book in hand—though they do not often read the books, but rock gently to and fro, gazing sleepily out at the weird-looking buttes opposite, until their sharp lines grow indistinct and purple in the afterglow of the sunset. Brinkley, Douglas, The Wilderness Warrior, Theodore Roosevelt and the Crusade for America, New York: Harper Perennial, 2009. Di Silvestro, Roger L., Theodore Roosevelt in the Badlands, New York: Walker & Company, 2011. Morris, Edmund, The Rise of Theodore Roosevelt, New York: Coward, McCann & Geoghegan, Inc., 1979.